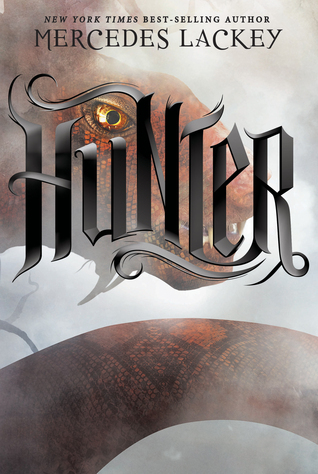 Presenting Hunter #1 Hunter by Mercedes Lackey. Fantasy, Dystopia, Post-Apocalyptic and sci-fi, Hunter by Mercedes Lackey is a mash-up of everything mentioned.... I really really wanted this book to work for me too.The cover is eye-catching. This is also my first time reading Lackey and the plot sounded really good... Ultimately this just didn't work for me. Too much info-dumping on every other paragraph. The style of presentation is rather clumped together, I prefer cleaner shorter paragraphs. The protagonist Joy was also your already seen before special snowflake. Your typical case of a simple girl with too much powers. I definitely liked the battles with the creatures and the way the major city works. Apparently Hunters are celebrities there with their own channels that posts a live updates of said Hunter's daily activities. But everything just felt so dry. Its got a rich plot and an epic genre mash-up but somehow the balance isn't there. The story seems so lifeless and dragging that you start to lose interest after a while I also expected to see a sort of a bestiary of all the creatures, we encountered. The disarray and the breakthrough opened the Earth to invasion by the beasts from well known mythology and lore. So I expected illustrations because really this is a dry plot and in livening it up a bit. "Good epic fantasy mashup that fails in its delivery." Great review. I had a hard time getting into this one and I'm glad to hear I didn't waste my time with it. Thanks for the honesty!